In all the hoopla over DIRECTV and Viacom yesterday, we missed a very important anniversary! 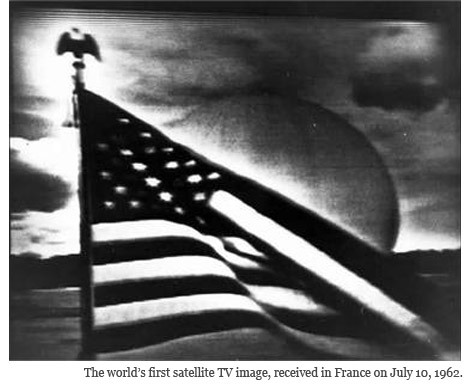 On July 10, 1962, exactly 50 years ago yesterday, the first TV communications satellite was launched. Telstar 1 was created by communications giant AT&T and launched by NASA back in the days before most people even had color television. This was the first television satellite and the first launch sponsored by a private company. 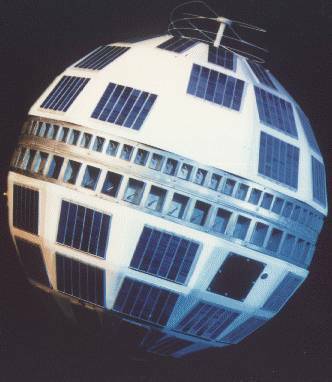 Telstar 1 had one transponder capable of receiving and transmitting color, standard-definition TV. Prior to this time, live programming used long-distance telephone cables while other programs were sent on film using the US Postal Service or private carriers. and reached Pleumeur-Bodou, France from a broadcast facility in the United States. Within months, the first publicly available free-to-air satellite broadcasts had begun. Of course, most people did not have expensive satellite dishes at home; it took another 30 years for direct broadcast satellite providers like DIRECTV and DISH to perfect a low-cost solution for satellite reception.